Eric and Jessie James Decker are expanding their brood! The couple announced in an adorable Instagram video that they are expecting baby #3 in March. Watch! The Tennessee Titans wide receiver and country singer wed in 2013. The baby joins Vivianne, 3, and Eric Jr., 2. 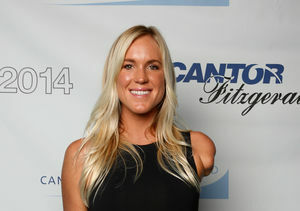 Surfer Bethany Hamilton Pregnant with Baby #2 — See Her Cute Announcement! Khloé Kardashian's First Appearance Since Pregnancy News!